Dealing with clients from all over the country at Studio 544 Web Design, I am accustomed to working with many different web hosting companies. The majority of them are very good and offer a wide range of services at affordable prices. Some of these include: Inmotion Hosting, Host Monster and Blue Host. However, I always cringe whenever a client informs me that they are using or would like to use GoDaddy for their hosting company. Let’s face it, GoDaddy does a great job with their marketing and I’m sure their advertising budget is mammoth compared to most of their competitors but the fact remains, their back end user interface is a disaster. If I only had a dollar for every minute I’ve wasted trying to navigate through the cumbersome GoDaddy interface to change a simple setting or find basic information for a client’s account, I could treat myself to a night on the town! 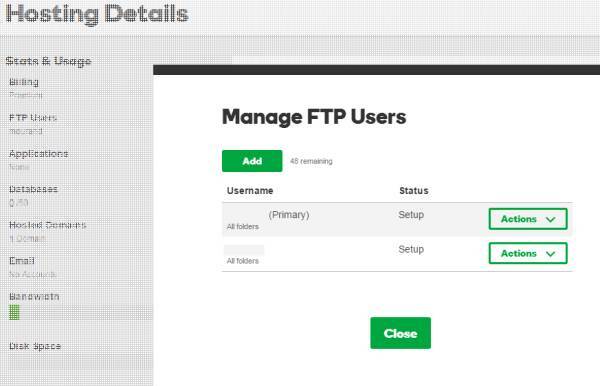 Recently I came across one of these “wasted moments” when trying to set up a new FTP user account for a client on their GoDaddy hosting account. While it’s true that some of it was from my own stupidity, this is just another example of why I choose not to recommend GoDaddy to my clients. In the beginning, all was going well as I was able to find the section in the Go Daddy control panel on where to create a new FTP User account. I typed in the new username; made sure to select the “All Folders” from the Access Level option and typed in a new password. According to GoDaddy, I had a green light to create the new account and click OK. Here’s where things got frustrating though. After countless attempts to connect the new FTP user account through my FTP program, I continuously got the “cannot connect” error message. I tried everything I could think of such as changing the domain name to the I.P. address in the FTP settings; quadruple checking that I had the correct username and password but every attempt to connect ended in failure and frustration. After about 20 minutes of this, I decided it was time to contact the good folks at GoDaddy and see if there was something I was missing. The first tech support representative I spoke with ran me through the same set of steps to make sure I was doing everything properly and when she had the same results after another 10-15 minutes, I was transferred to an “expert” about my FTP connection issue. This is when we had the “eureka” moment as she asked me to repeat to her the new password I had set up for the new FTP user account in the Go Daddy control panel. I rattled off the lengthy and complicated password and as I got near the end of it, she stopped me and informed me that the last set of digits I had given to her were not relevant because GoDaddy only allows a maximum of 14 characters for their passwords. In other words, if you insert a password longer than 14 characters, their system will only read the first 14 characters. This is what was causing my FTP connection issue as I was trying to use the password I thought I had just created not realizing that Go Daddy was using a truncated version of that same password. As I mentioned earlier, part of this is my own stupidity as I should have read their password criteria more carefully when created the new FTP user account but when I saw all the green lights checked off in their same password criteria popup with the ability to click “OK” and create the new account, I figured I was good to go. Isn’t that was green is supposed to mean? My argument with GoDaddy about this is that if they a check in place that would stop you from trying to use a password with more than 14 digits, it would have saved me about 45 minutes of my time not to mention the additional time it’s taking me to write this article! 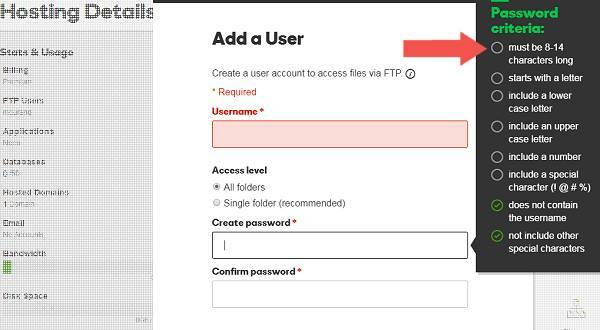 The purpose of this post is to hopefully help the next poor soul who runs into a similar issue when creating an FTP user account in GoDaddy and not being able to get it to connect through an FTP program. Double check to make sure your password is 14 characters or less and you should be fine. 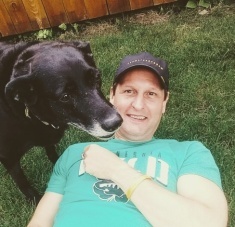 ABOUT THE AUTHOR: Mark Lewandowski is a freelance web designer at Studio 544 in Hutchinson, MN specializing in setting up websites for small businesses, individuals and organizations.